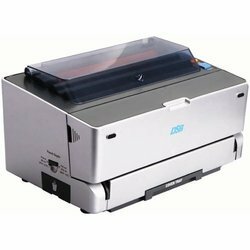 Prominent & Leading Manufacturer from Mumbai, we offer spiral binding machine, dsb spiral binding machine, manual spiral binding machine and electrical spiral binding machine. We are offering Spiral Binding Machine to our clients. 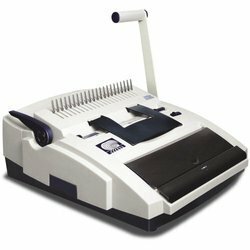 We provide a wide assortment of DSB Spiral Binding Machine that is used for different punching styles. These machines come with electric coil inserter, which helps them to perform proficiently. Accepted Paper Format A4, letter, cover, 12"
Edge Guide Adjustable for A4, letter, cover, 12"
A wide range of standard quality Manual Spiral Binding Machine is offered by our organization. The machine we provide is facilitated with punching and binding individual systems, which allows them to operate separately. These machines are available with punching mode manual in order to make their usage easier. 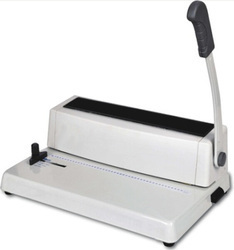 We are offering Electrical Spiral Binding Machine. This internationally patented machine is powerful and multi-functional that offer complete solutions of comb and wire. Further, the products we offer are appreciated for their corrosion resistance, durability, and optimum functionality. 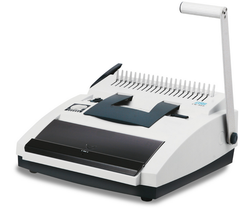 Looking for Spiral Binding Machines ?